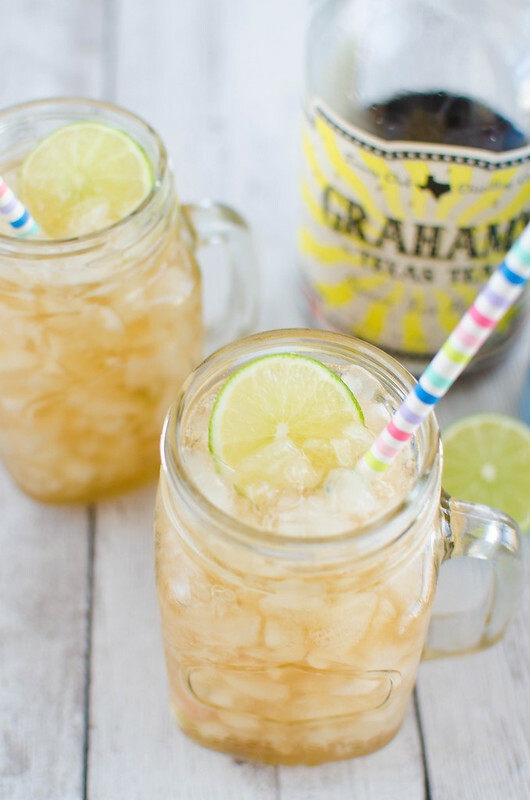 Sweet Tea Mules – a southern twist on the classic mule. Sweet tea vodka, ginger beer, and lime juice! So easy and so delicious! I made drinks for those of us that will be spending it alone. Let’s all get heart shaped pizzas and have Sweet Tea Mules while we watch Netflix with our dogs. I am such a Valentine’s Day scrooge and I don’t really know why. I love everything pink and glittery and covered in hearts, I bought myself the most gorgeous orange tulips yesterday because everyone has beautiful flowers right now and I can’t say no, and I will 100% be stalking the local cupcake place to see if they have Valentine’s Day themed cupcakes but still, I just don’t love Valentine’s Day. 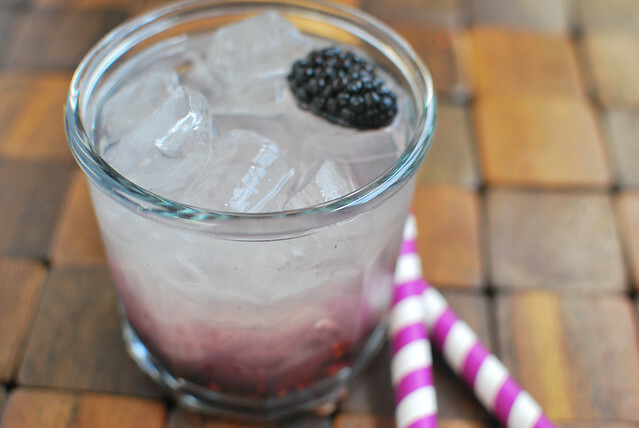 Seriously one of the easiest drinks you’ll ever make. 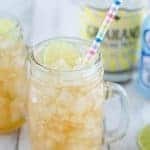 I had one a couple weeks ago at a burger place and I couldn’t believe that I hadn’t thought to put sweet tea vodka and ginger beer together. The most perfect combination. With half a lime squeezed in? Probably my most favorite cocktail ever. And you know I love a salty margarita. And that’s all you need. Just the vodka, ginger beer, and lime. Aaaaand I used diet ginger beer so it was super low calorie which means I’m gonna have more calories for heart shaped pizza tonight and cupcakes covered in heart sprinkles. They don’t need a cocktail shaker. You don’t need special copper mug – just put it all in a mason jar and give it a stir. Three ingredients and ice, guys. That’s it. Plus, how perfect are these going to be when it’s 172 degrees in Texas this summer? Stupid excited to sit on my porch and sip these. Fill 2 glasses with ice. 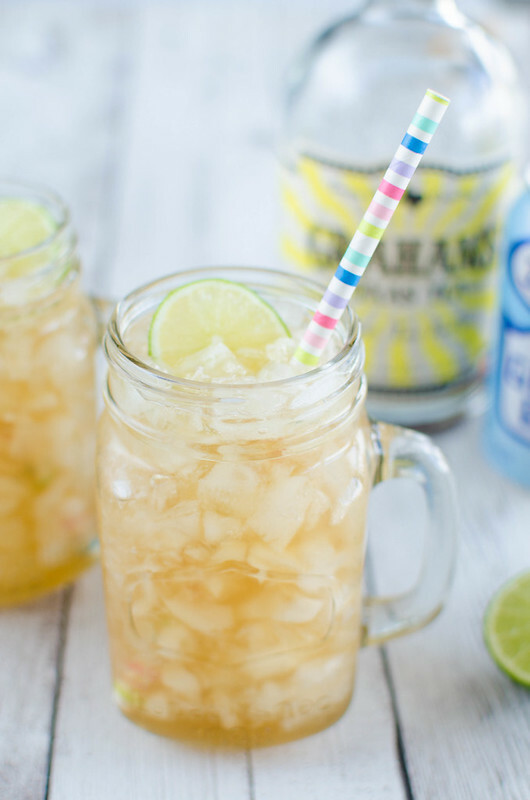 Add 2 ounces of vodka, half the lime, and 1/2 cup ginger beer to each glass. 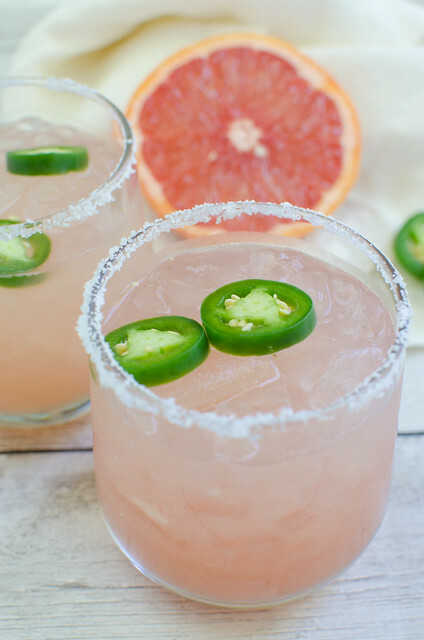 Top with lime slices. Want more drinks with vodka?